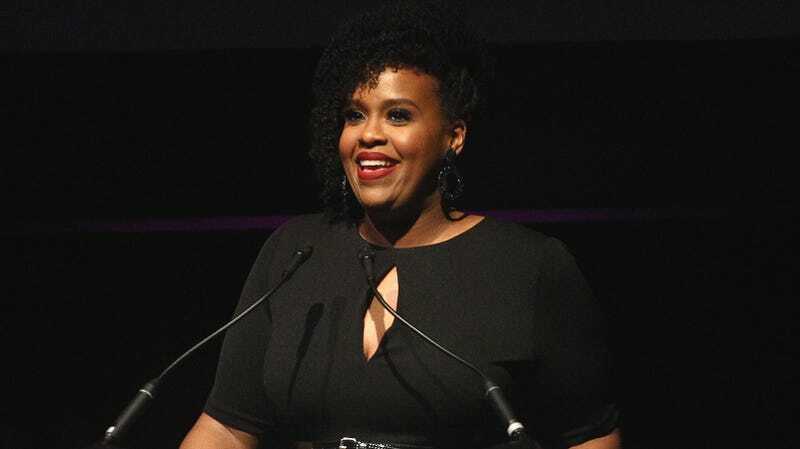 Natasha Rothwell might be best known as Kelli on HBO’s Insecure, but she has her own Netflix episode on The Characters, was a writer on Saturday Night Live, and is now featured in the film Love, Simon as the drama teacher, Ms. Albright. Basically, she’s already done a whole lot, and has plenty of stuff to say about it that you should pay attention to. The Hollywood Reporter interviewed Rothwell about her experiences, and it sounds like with pretty much everything she is asked to do, she goes above and beyond. Rothwell actually started on Insecure as a writer, and was surprised when she was called in to play Kelli. She also ended up improvising some of her dialogue on the set of Love, Simon, which made it into the final cut of the movie. But Rothwell adds that she doesn’t think there is an “expiration date on diversity” and hopes that the relative improvements we’re seeing on television are more “indicative of a systemic change” rather than some sort of fad. If I operated under the guise of scarcity — that there’s only room for one — I would have stopped a long time ago. Being a woman, and being a woman of color, there are expectations about who I’m supposed to be and the kind of work that I need to create and the availability of what’s out there, and what I’m allowed to do. And one of the things that I have tried really hard to do in my career is to question all of that, to demand that there not be this idea of scarcity but of abundance. There can be multiple shows on TV that have women of color running them, starring in them, directing them. There can be two Wonder Womans. There can be two Black Panthers. There doesn’t have to be, “We’ve ticked off diversity, and now we can’t do it anymore, or we shouldn’t do it anymore.” What that does is it wants the minorities who are vying for that small, available part to fight each other, and that’s not the truth of the camaraderie that I’ve felt. You can and should read the full interview here.